Hey Everyone! Things are coming along quite nicely for Octo! The first molds were not quite what I wanted, so I revamped the molds and things are looking good now. Octo seems to be right on time so far with half the Octos poured and sanded, quite a few primed, and even a few painted (they are looking pretty slick!). The sticker designs are finished (Thanks for the help Peapod!) and are ready to be produced. 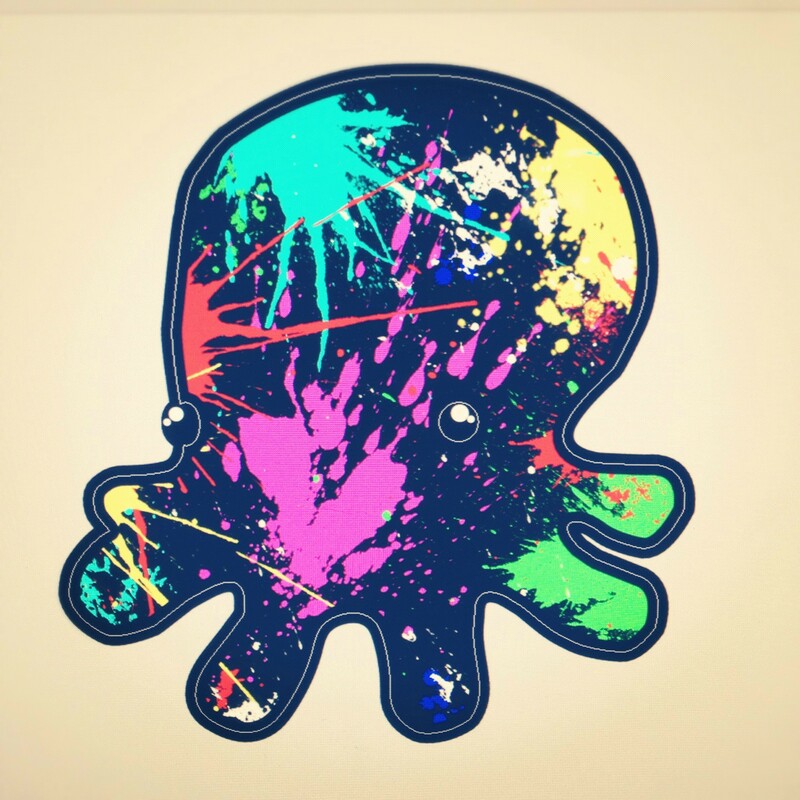 I've included a pic of one of the five sticker designs (don't want to spoil all the fun all at once, more pics to come) and of the small Octo army in the making. I've also been busy taking pics and video of the process to be edited in the near future for either a update or to post on Octos upcoming web site (or more likely, both). It's going to be a busy week this week with lots of production on the schedule! I've come along a little farther on that surprise I mentioned in the last update as well, details on this will come to light in the next update (I can tell you its a new look for Octo though...). Stay Tuned!! 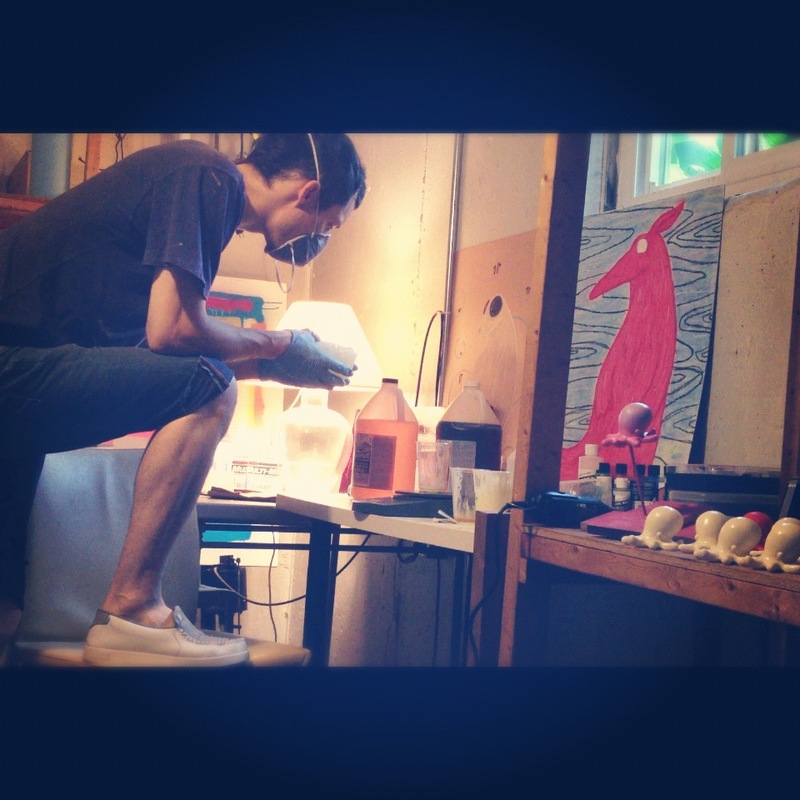 In the studio, working hard! ...A lil teaser pic perhaps? 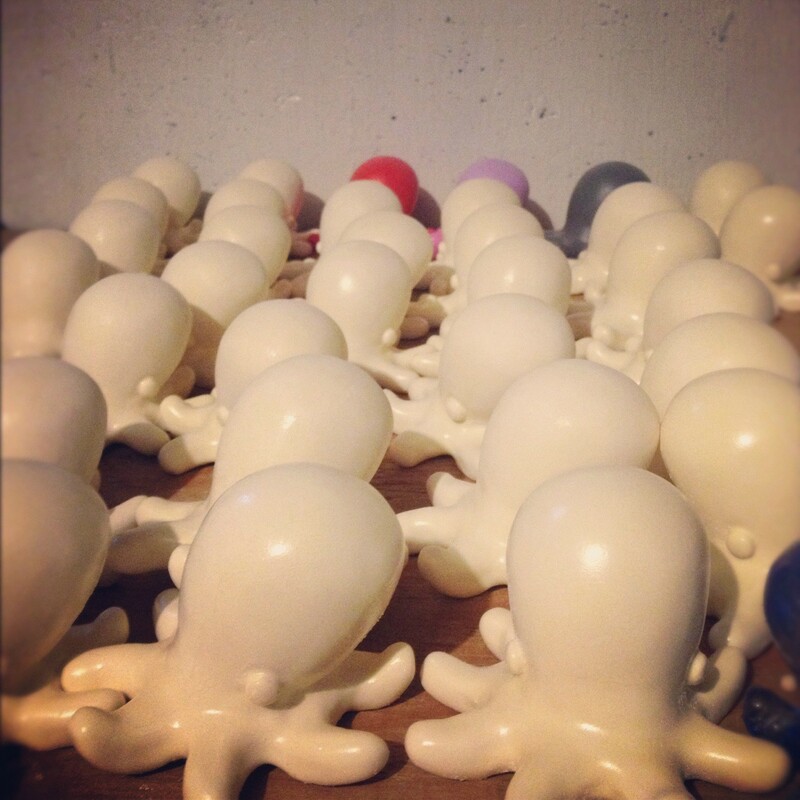 The Octo army is growing! Thanks for keeping your kickstarters in the loop. I'm very excited to see how they all turn out.